In addition to our weekly home delivery subscription program, we also offer several other services. Our family has been selling produce in bulk since 1900. We have the connections and knowledge to provide you any fresh fruits and vegetables you need for your restaurant, store, school, company event, race and more. Whether you're looking for premium grade produce or "imperfect" produce we have you covered. Help us save more "ugly" produce by buying in bulk! Let your customers know you care about reducing food waste. We deliver! Tired of selling cookies, chocolate and wrapping paper for your kids' school? Us too! We are very proud to be a FarmRaiser vendor. 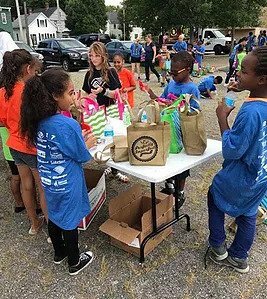 FarmRaiser partners with local food artisans and healthy food producers to get your school or group amazing products at great prices for your next fundraiser. 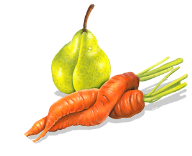 We offer our Perfectly Imperfect Produce mixed boxes and other choices like premium grade produce bags with apples or oranges. Visit our FarmRaiser page today to get started! You want to help improve the health and wellness of your employees. We're here to provide them access to affordable, healthy fresh fruits and vegetables. 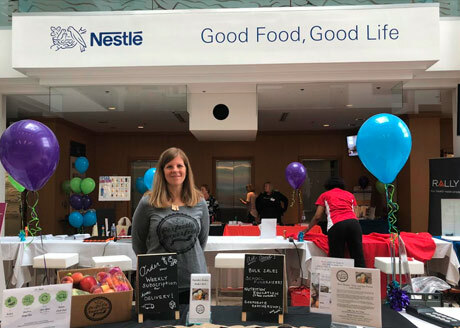 Each week we deliver our produce boxes to office buildings across Northeast Ohio with reduced delivery fees per box or a flat fee often paid by the employer. All you have to do is share information about our program with your employees. They order on their own and we handle the rest. In a world full of fast food and processed snacks, Americans have lost touch with where real food comes from and how it makes it all the way from a seed to their spoon. It's part of the reason that over 70 percent of US adults are overweight or obese. And it's also a cause of the massive food waste problem here. 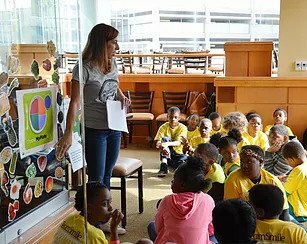 We visit schools, childcare centers, community centers and special events to share our knowledge of the food industry and healthy eating. We teach the basics of nutrition because we know that improving healthy food access is only half the battle against obesity. A proper understanding of healthy eating habits is key. 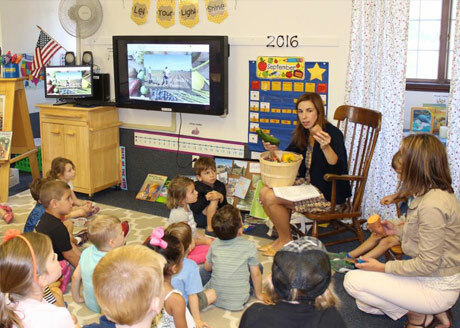 In addition, we help students understand the massive food waste problem in our nation. We bring examples of "ugly produce" to let them see, touch and taste that is the same on the inside. Together we brainstorm ideas for how each of us can make changes to positively impact the environment. Contact us to schedule a visit. Fees vary. You are a consumer or local business that likes our program, but you don't want to pay so much for delivery. Partner up with your neighbors, friends, your church or school and establish one central drop-off location. The delivery charge is per location, not per box, so by establishing one spot in your neighborhood for deliveries, you can all save. We can bring bulk produce to your office, gym, business or school and set up a farm market stand filled with "imperfect" produce. 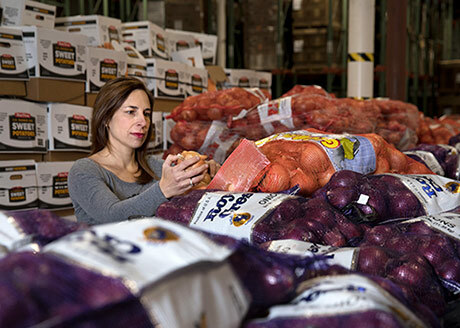 You help your community have access to healthy, affordable food while helping to reduce food waste. We can also create custom mixed bags or boxes of produce for events at your school, business or special event. 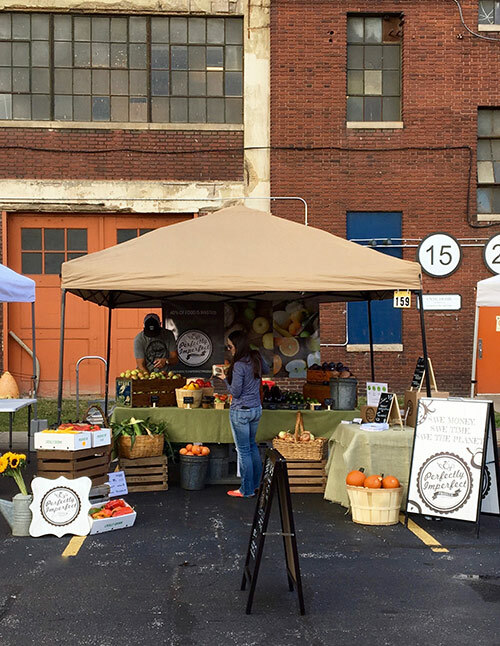 We also occasionally set up farm market style stands at local flea markets and community events. Follow us on Facebook and Instagram for updates on where we'll be and when! We are passionate about healthy eating. We want to share our love and knowledge about healthy foods and clean, simple cooking techniques with our community. 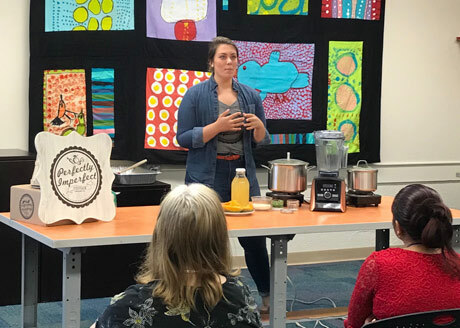 We bring samples of healthy foods, perhaps some that are a bit unfamiliar to some folks, and we show people how to choose, store and prepare them to make a healthful meal or snack.